Across the country, the average tenure for a state chief information officer is less than three years, according to Governing magazine. Former state of Hawaii CIO Todd Nacapuy stuck it out and served longer than most. Over the past three and a half years, Nacapuy’s accomplishments ranged from migrating most departments to Office 365, upgrading the state’s 50-year-old payroll system, and advancing the governor’s goal of reducing paper use by introducing “eSign Services.” While full adoption throughout the state workforce remains to be seen, his tenure could be characterized by action. Nacapuy helped launch the civic-tech-focused Hawaii Annual Code Challenge, which completed its third year last November. My organization, the nonprofit Transform Hawaii Government, returned as a sponsor of the HACC to support engagement of the local tech community in solving the state’s sustainability challenges as described on the United Nations-recognized Aloha + Challenge Dashboard. Former Hawaii Chief Information Officer Todd Nacapuy. Most notable was Nacapuy’s success in strengthening governance over major IT projects throughout the executive branch through the development of the Hawaii Department Dashboard, an online resource that tracks more than $450 million in spending for approximately 600 major projects from 95 percent of the state departments. The dashboard, which has earned global recognition for its cutting-edge innovation and transparency, is accessible online and to the public. In his farewell, Nacapuy rightly thanked his team at the state Office of Enterprise Technology Services for their hard work and dedication, but leadership remains the single most important driving factor toward progress. The new CIO needs to work well with all department leaders to promote collaboration across various agencies so citizens can receive maximum benefit from delivered services. Much remains to bring remaining antiquated and decentralized systems and processes up to speed. On Jan. 2, a mere two days after Nacapuy’s official last day, Gov. David Ige announced the appointment of Douglas G. Murdock as the state’s next CIO, subject to the state Senate’s approval. Through this quick action, Gov. Ige demonstrated a strong appreciation for having capable leadership in place to continue momentum set by previous CIOs. 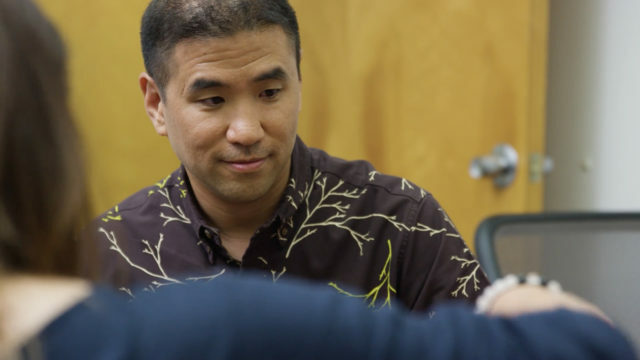 Expediting this appointment was critical not only to maintaining progress in implementing systems, but also for assessing how well those systems are being used and planning for Hawaii’s ever-evolving technological future. Leadership remains the single most important driving factor toward progress. The position of state CIO was first established by Act 200 of 2010 (codified into law as HRS Section 27-43, as amended) in recognition of the key role technology and innovation play in Hawaii’s future. The CIO, among other things, is responsible for developing, implementing and managing statewide information technology governance, strategic plans and related standards. In 2011, Gov. Neil Abercrombie appointed Sonny Bagowalia as the state’s first full-time CIO. Keone Kali took the reins in 2014, until Gov. Ige appointed Nacapuy in mid-2015. With Murdock’s appointment, we are getting a seasoned leader and administrator. He previously served as state comptroller and director of the Department of Accounting and General Services, vice president of administrative and fiscal affairs for the Hawaii Tourism Authority, and judge advocate in the Air Force for 25 years. Murdock’s leadership is now needed to map the way forward for turning these words into action. For example, the state’s IT strategic plan, which was requested by the Legislature last year but not yet completed, must be made a priority. Legislators tasked the IT Steering Committee, chaired by the CIO, with its responsibility, and specifically requested that it include recommendations on the management, sharing and use of data in ways that empower government leaders, employees, businesses and individual citizens. As a member of the steering committee, I look forward to working with CIO Murdock to complete the state’s IT strategic plan. It’s encouraging he served on a working group convened last year to begin the plan’s development. A CIO must be an individual with a solid IT background but also with high emotional intelligence as a communicator and collaborator across various departments and jurisdictions — as well as the community, which is key to integrate and modernize state services for public benefit. To this end, we applaud Murdock’s appointment. The IT strategic plan represents a singular opportunity to help our new CIO chart the course for state IT and data across all state agencies over several years, even beyond the budgetary biennium or a single governor’s four-year terms. Such a plan would serve as a North Star roadmap to improving the delivery of information and services to citizens, businesses and all those who work with and rely on our state government. Christine Sakuda is the executive director of Transform Hawaii Government, a nonprofit organization focused on modernizing the state government’s aging IT infrastructure.